Local activists on Tuesday gathered at the only U.S. Immigration and Customs Enforcement center in the Bay Area to protest Trump administration immigration policies. 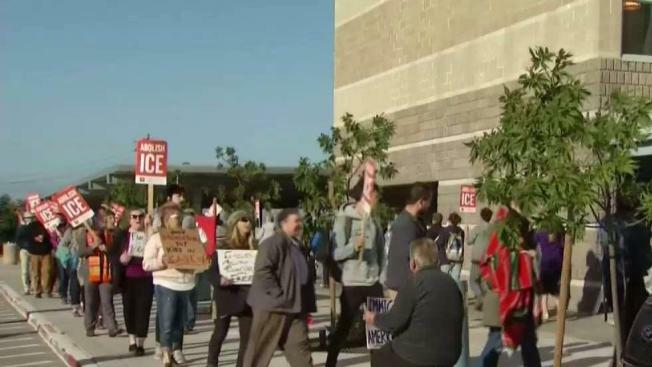 Local activists on Tuesday gathered at the only U.S. Immigration and Customs Enforcement detention facility in the Bay Area to protest Trump administration immigration policies. 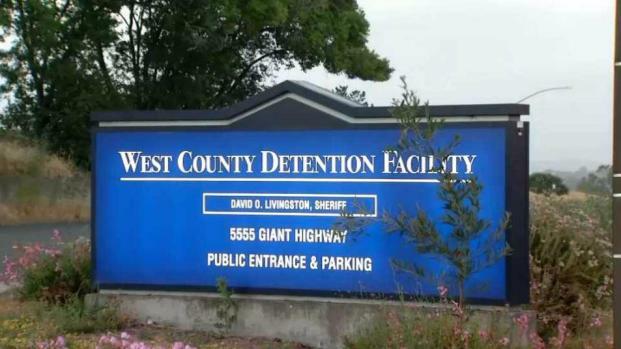 According to a Facebook event, just over 700 people indicated that they would attend the "Day of Action at West County Detention Facility" event, which started at 7 a.m. and is slated to continue until 7 p.m. During the morning hours, several dozen people were at the facility chanting, singing and marching. About 200 immigrants are detained at the facility on any given day, according to organizers. In recent months, the Contra Costa County Sheriff's Department started publishing the release dates of immigrant detainees, thereby allowing ICE to track and detain them upon release without the sheriff directly violating the California sanctuary policy of not using local resources to aid federal immigration enforcement. Local activists on Tuesday are expected to gather at the only U.S. Immigration and Customs Enforcement center in the Bay Area to protest Trump administration immigration policies. Kris Sanchez reports. Protesters at the facility on Tuesday argued that it's time for ICE to go altogether and to hold local law enforcement accountable. A sheriff's department spokesperson said the department allowed community-based groups to work with those detained and that the department took more than 20 elected officials and dignitaries on tours of the facility since October. One of those dignitaries was East Bay Congressman Mark DeSaulnier. He said the county should terminate its yearly $6 million contract with ICE. Editor's Note: Community groups are allowed into the facility, but one particular group is not allowed. A previous version of this story, attributing to a report, inaccurately reported that fact.